Cockcroft Web » Physics of Star Wars – Fact or Fiction? Physics of Star Wars – Fact or Fiction? Light sabres, hyper speed and droids – will they be made possible with the latest accelerator research? 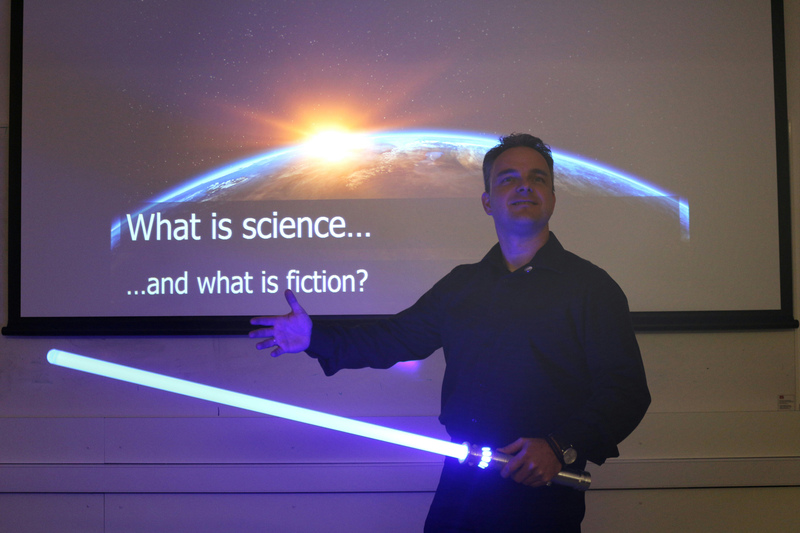 With the imminent launch of “The Last Jedi”, Professor Carsten Welsch, Head of Physics at the University of Liverpool and Head of Communication for the Cockcroft Institute, has explored the “Physics of Star Wars” in an event designed to introduce cutting-edge science to hundreds of high school children, undergraduate and PhD students, as well as university staff. “In the very first movie from 1977, the rebels have used proton torpedoes that make the Death Star explode as their lasers wouldn’t penetrate the shields. I linked that to our use of ‘proton torpedoes’ in cancer therapy. Within the pan-European OMA project we are using proton beams to target something that is hidden very deep inside the body and very difficult to target and destroy. 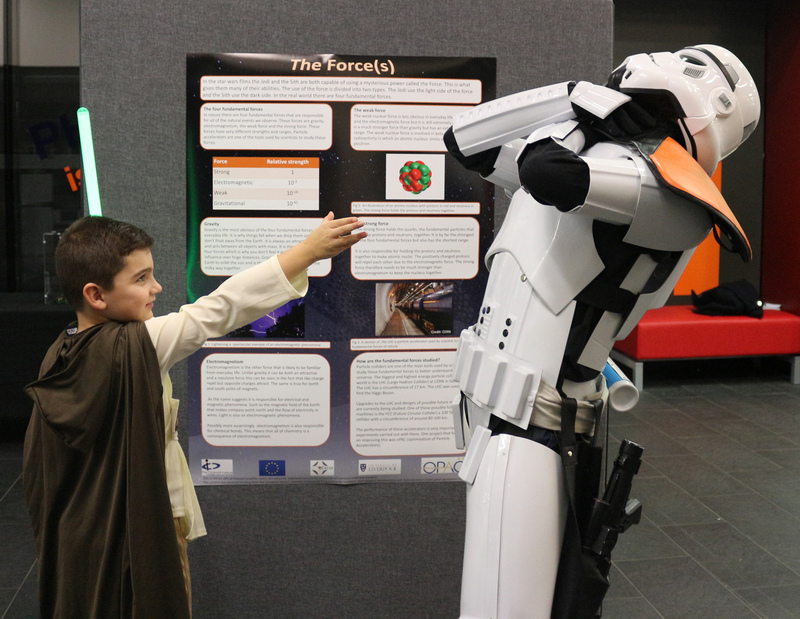 After the lecture, all participants have been given the opportunity to understand the science behind Star Wars through numerous hands-on activities in the university’s award-winning Central Teaching Laboratory. This included laser gravity, augmented reality experiments, and even a full-scale planetarium which will immersed participants into the world of Star Wars. Professor Welsch and members of his QUASAR Group had the kind permission of Lucasfilm to use film excerpts; these were complemented by Lego Star Wars models, a real cantina as found in the movie, storm troopers and even Darth Vader himself! BBC Radio Merseyside (from 1:26:11), the Warrington Guardian and Physics World have already reported about the event which has brought the Cockcroft Institute to the attention of several hundreds of thousands. Even the BBC’s Science Focus website has published a whole feature article about the event. Many photographs from the exciting day can be found on Twitter at https://twitter.com/cockcroft_news (#physicsofstarwars). This is not an official Disney/Lucasfilm event, but planned, organised and run by Liverpool staff and students.